The national motto of Jamaican is ‘Out of Many One People’, which represents different tribes with different cultures are living as one nation in Jamaica. The motto has being represented by the Coat of Arms of Jamaica, showing a man and woman of Taino tribe standing on either side of a shield having a red cross along with five golden pineapples. 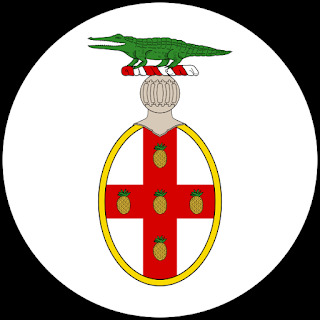 The crest shows a Jamaican crocodile on top of the Royal crown of the British Monarchy and mantling. 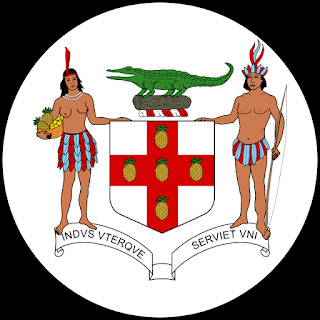 also the motto has also been written at the bottom of the coat of arms. 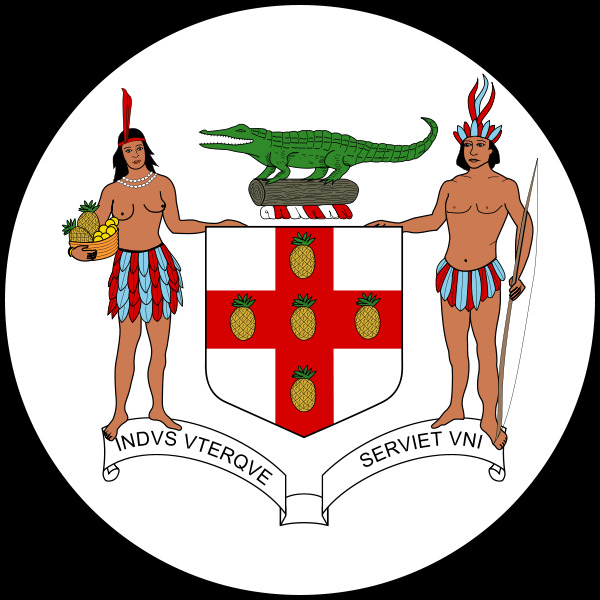 Jamaican Coat of arms has been change lately they were also used on Jamaican flag during British era. 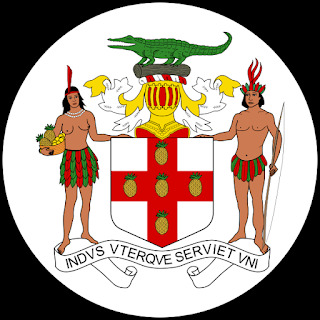 though after the independence the jamaican flag has been changed. some very interesting information about Jamaican flag and other flags of the world can be obtained from here.